Dates are rich in dietary fiber, antioxidants and the essential minerals including potassium and magnesium. A diet that regularly includes low-fat, nutrient-dense foods like dates may enhance your health and help decrease your chance of developing many chronic diseases. Dates can be substituted for raisins in baked goods, combined with nuts and rolled oats in granola or used as a sweet counterpoint in chicken- or lamb-based stews. 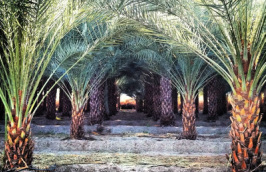 Deglet Noor and Medjool dates are the most commonly grown and consumed varieties in the United States. In addition to the high fiber content that makes fresh dates beneficial for heart health, dates are very low in saturated fat, trans fat, cholesterol and sodium. The USDA Nutrient Database notes that a 100-gram serving of fresh dates contains only 1 milligram of sodium and 0.04 grams of fat. This makes them a healthy addition to a low-sodium diet to help decrease high blood pressure and reduce the risk of heart disease and stroke. 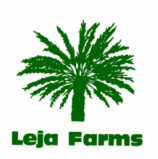 The American Heart Association now certifies fresh California Dates: Deglet Noor and Medjool varieties. A 40-gram serving of fresh dates -- an amount equivalent to five or six dates -- provides 3 grams of dietary fiber. This amount supplies 14 percent of the U.S. Department of Agriculture's recommended daily allowance of fiber for adult men and women following a 2,000-calorie diet. A low fat diet rich in fiber containing grain products, vegetables, and fruits - like dates - may reduce the risk of some types of cancer and may help lessen your risk of diabetes and high blood cholesterol. A 2009 "Nutrition Reviews" study adds that a fiber-rich diet can also help prevent obesity, stroke, heart disease and hypertension. Dates have a natural balance of many minerals such as potassium, magnesium, calcium, manganese, zinc, copper, iron, and selenium. One 40 gram serving of fresh dates-- an amount equivalent to five or six dates -- provides 6 percent of the potassium your body requires daily. As both a mineral and an electrolyte, potassium triggers enzymes crucial for energy metabolism and is needed for cardiac, smooth and skeletal muscles to contract properly. If you do not consume enough potassium regularly, you may be more likely to suffer from osteoporosis, stroke, kidney stones or high blood pressure. If your diet includes a large amount of sodium, you may need more potassium in order to keep the two minerals balanced. Incorporate high-potassium foods like dates into your meals and talk to your doctor about ways to lower your sodium intake. Every 40-gram serving of fresh dates -- an amount equivalent to five or six dates -- provides 5.8 percent of the RDA of magnesium for adult women and 4.5 percent of the RDA of magnesium for men. The body uses magnesium for energy metabolism, to regulate vitamins and other minerals and to help maintain the strength of bones and teeth. Magnesium aids protein synthesis, blood glucose control and muscle and nerve function in your body, and it helps regulate blood pressure. Magnesium intake is linked to a decreased risk of diabetes, depression, osteoporosis, hypertension and cardiovascular disease. Pregnant women, athletes undergoing strenuous physical training and individuals recovering from long-term illness or surgical procedures may need more magnesium to avoid deficiency. Dates produce their pure sweet flavor naturally no added sugar is required. As an ingredient to any recipe, fresh dates provide the perfect natural alternative. The American Diabetes Association lists dates on their list of common fruit options and is a perfect diabetes-friendly snack. Dates have a low glycemic index and depending on variety vary from as little as 35.5 to as much as 49.7 making them a highly sought after treat for diabetes patients. The antioxidant capacity of dates is believed to play an important role in the health benefits of diets high in fruits. Dates are rich in polyphenols, a plant antioxidant that have a higher capacity of reducing oxidative stress. Polyphenols destroy free radicals that can cause disease and these compounds are found only in plants. The American Dietetic Association reports that eating plenty of foods rich in antioxidants may help prevent diabetes, cancer, heart disease and neurological problems like Alzheimer's disease.